Our modern age has made us seemingly more connected than ever but what is the real impact of technology? People have become dependent on smartphones and internet access in order to communicate but they don’t always realize how the experience is affecting them. There are some aspects of the use of mobile phones and social media sites that have been proven to increase anxiety and loneliness in spite of their intention to help people connect. Although for most people using a smart phone will not cause any mental health problems, the tendency to compulsively check your phone can worsen existing symptoms of anxiety and depression. Studies have shown that the average person aged 18-54 checks their phone 34 times a day and that these checks often occur within 10 minutes of each other. This compulsive checking is an unconscious behavior that causes people to become dependent on and even in some cases addicted to technology. People who tend to have very addictive styles of cell phone use also generally score higher on depression and anxiety scales. In some cases however, the motivation for going online can influence the effect that technology has on mental health. One study showed that people who use their phone out of boredom rather than a compulsive need to keep checking had no issues with mental health problems as a result. A common problem associated with the use of smartphones is an intense separation anxiety that occurs when people lose or don’t have access to their phones. It casually referred to as “nomophobia” or the fear of having no mobile phone. People experience a kind of withdrawal when they are not able to use their phone because they are broken, out of battery or have no connection. Studies have revealed the extent to which smartphones become comfort items to individuals who prefer to always have their phone. In one experiment researchers exposed participants to a stressful situation either with or without access to their phone. Those who were allowed to keep their phone during the stressful event were less negatively affected than those who did not have their phones. Smartphone access can ease anxiety for some people because they are dependent on their phones. The feeling of being disconnected from technology can be stressful because people worry that they are missing out on something important and wonder what is going on without their knowledge. Studies show that 70 percent of women and 61 percent of men have cell phone related separation anxiety. 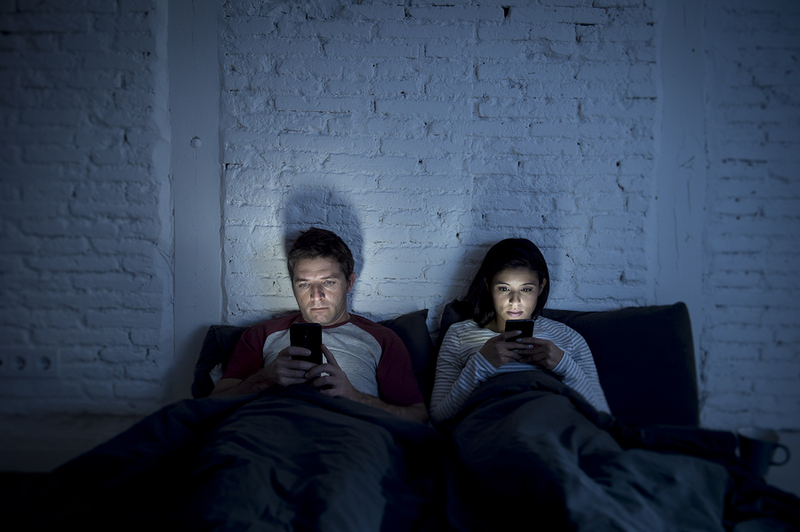 It is not surprising that people become dependent and essentially addicted to technology as many aspects of apps and social media sites are intentionally designed to keep people coming back compulsively. A former Google employee Tristan Harris has spoken out about the practices of smartphone app designers who often seek out ways to exploit our psychological vulnerabilities. These company designers use the concept of variable intermittent rewards which basically means the notifications you receive on your phone will unpredictably vary between meaningless and important messages. The more variable the rate the reward, the more addictive the app becomes. This is the idea behind slot machines which are the form of gambling that most quickly leads to problematic behavior. Harris, a design ethicist, believes that these design features are harmful because of their addictive nature and companies like Apple and Google have a responsibility to reduce efforts to include variable intermittent rewards. Smartphone apps can cause symptoms of addiction, withdrawal and anxiety in many cases making them unethical in design. Even though technology can cause compulsive behavior and dependence, it does not guarantee mental health problems in all cases. It remains unclear whether symptoms of anxiety cause excessive smartphone use or vice versa but there seems to be a connection between the two. For individuals with existing mental health problems they might seek out excessive use of their social media apps to evade negative feelings or seek out social interactions. People who don’t necessarily have a compulsive motivation to use their phone and simply use it to escape boredom are less likely to experience mental health problems like anxiety or depression. Minimizing the use of smartphones as much as possible and increasing face to face interaction can help to diminish the stress caused by technology. People use certain apps as a kind of social reward, so meeting up with friends or having a conversation with someone can be a better option. Addiction to technology can cause an increase in anxiety as any type of addiction would. Thinking about your motivation behind smartphone use and whether your habits are compulsive can help you start to make changes. Any efforts toward moderating cell phone usage can be beneficial for improving your social connections and your overall mental health.